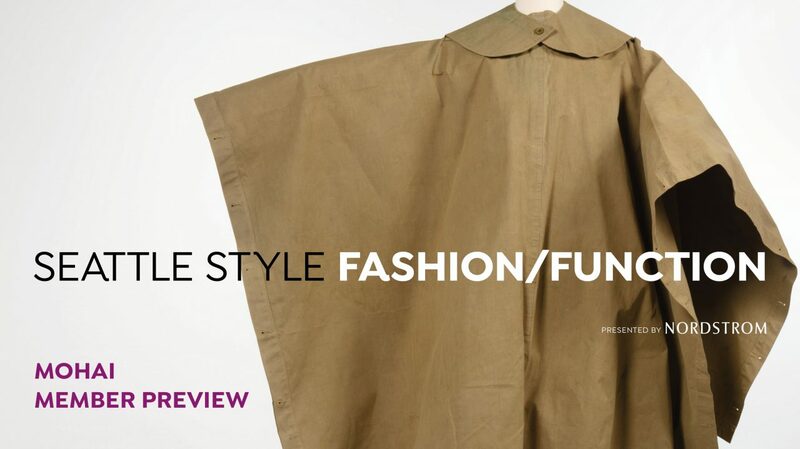 MOHAI invites you to an exclusive preview of Seattle Style: Fashion/Function. Join members and friends to see the exhibit before it opens to the public. Our newest exhibit features rarely-seen garments and accessories from MOHAI’s textile collection, reveals the complex history of clothing in Seattle, and examines innovations, influences, and connections to the broader fashion world. Please RSVP by Friday April 26, 2019. Light hors d’oeuvres and refreshments will be served.